It happened sometime in November of 2015. 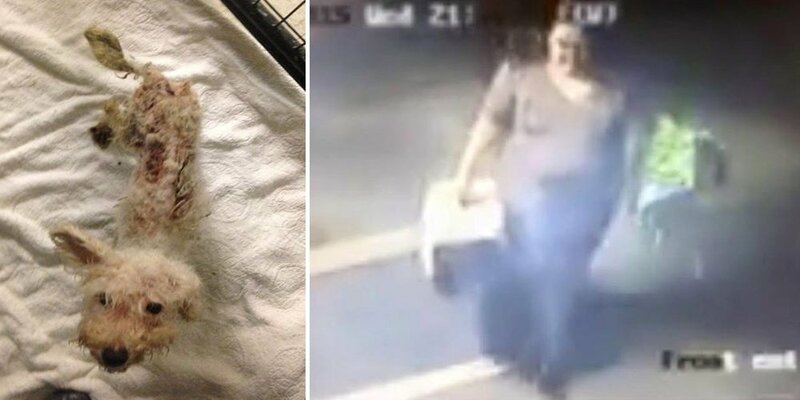 This sub-human piece of garbage went to the Whitehall Township, Pennsylvania Peaceable Kingdom Animal Shelter and dumped off a totally emaciated dog weighing a whopping 6 pounds which also had open wounds on her. The piece of garbage owner didn’t have the guts to even enter the facility. She just dumped off her dog and walked. Police are now searching for this owner who had no idea that there were cameras outside the facility that captured her in the act. And here’s poor little Annie, who besides being sickeningly thin, also suffers from anemia. The shelter is taking care of Annie, but her treatment is going to run $1000 or more. You can donate to the shelter to help out. And keeping an eye out for the piece of garbage owner who did this to Annie would be of great help to Pennsylvania Police. Please contact the Peaceable Kingdom Tip Hotline at 610-709-6454, or get in touch with the Dog Law Enforcement Officer– Orlando Aguirre at 484-223-9107. Please SHARE this post with everyone you know.